The widespread deployment of new hybrid cloud services is shaking up the enterprise community in unexpected ways - but realising the end results of increased agility, flexibility, cost-effectiveness, collaboration and competitiveness, as well as the ability to work from any location, will make it all worthwhile. Small and medium-sized businesses have been the first to take advantage of cloud computing with easy-to-implement cloud services such as Google’s popular G Suite. For these smaller businesses, Google has made cloud computing both easy to implement and cost effective. For larger enterprises, taking advantage of cloud computing has been a lot more difficult.The problem is, as enterprises move their critical applications and content to the cloud, they are discovering that the public Internet was not designed or built with business connectivity in mind, especially when it comes to performance, predictability and security. Hybrid cloud computing goes a long way to address many of the challenges that plague large businesses that want to realise the benefits of cloud computing in an enterprise environment. What is a hybrid cloud anyway? A hybrid cloud is a computing environment that combines aspects of a both a public and a private cloud by allowing data and applications to be shared or transferred between them. When computing or processing demands fluctuate, hybrid cloud computing provides businesses with the ability to seamlessly scale their internal infrastructure up to the public cloud to handle any overflow - without necessarily exposing sensitive information to third-parties. The result is that large organisations gain the flexibility and computing power of the public cloud for a range of computing and storage tasks, while still maintaining security. For good reason, the result is that hybrid cloud solutions have become the newest trend in cloud computing, offering multiple deployment models that create a more seamless, automated, secure and productive setting for enterprises that that want to stay ahead of the curve in order to establish competitive advantage. The rewards for adopting an enterprise hybrid cloud platform are great, but like any new technology, the integration process can come with its own set of challenges. For example, when it comes to adopting a public and multi-cloud approach, the initial complication comes with the tools for deployment. Many enterprises have the necessary tools to program their network in a single domain within their data centre. However, securely connecting to external clouds beyond the walls of in-house facilities represents its own set of challenges. In addition, many enterprise IT professionals are sceptical about depending on just one cloud provider. For example, Amazon has shown strong global leadership in providing cloud services, but Microsoft Azure and Google also have strong and growing service offerings. Traditionally, Amazon has excelled at generalised workflows, while AI is a growing strongpoint for Google. Azure is a good fit for enterprises that have traditionally leaned heavily towards Microsoft software-related services. 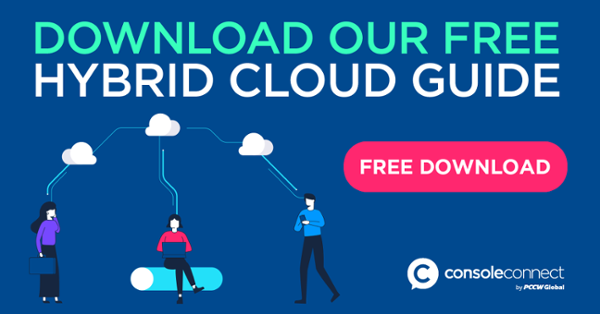 As a result, it’s becoming ever more clear that large enterprises require hybrid cloud services that integrate with both their existing in-house infrastructure as well one or more cloud service providers. Or at the very least, the flexibility to use additional cloud providers as and when necessary. 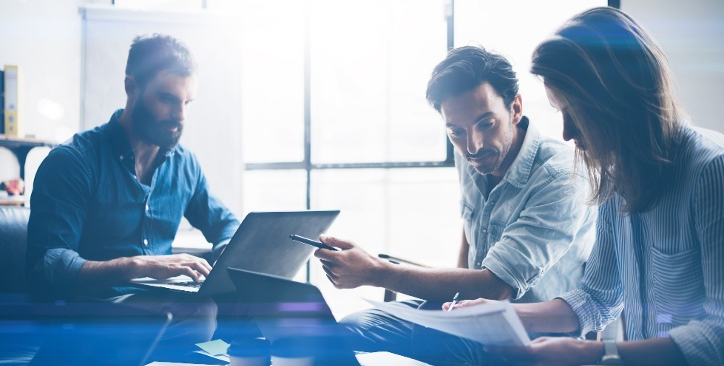 This is where new Software Defined Networking (SDN) platforms like Console Connect help enterprises facilitate complex connections and to fully and securely take advantage of hybrid cloud solutions. A good SDN platform should enable large enterprises to take advantage of cost-effective and innovative cloud services from one or more provider, while securely and seamlessly integrating with their existing in-house infrastructure.